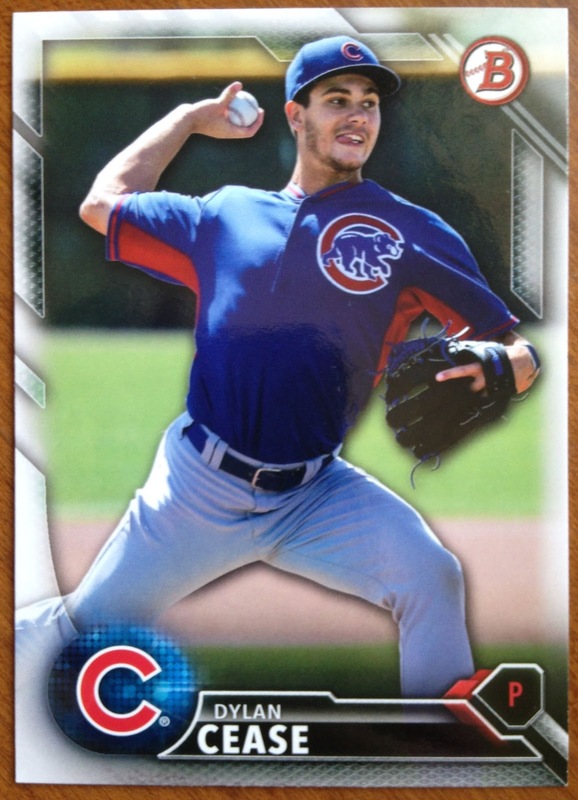 Last night, it was reported that Cubs' top pitching prospect Dylan Cease was scratched from his start in low-A South Bend, without a specific reason listed. Normally, this wouldn't raise too much suspicion - A) Dylan has been pitching lights out and is worthy of a promotion to the next rung and B) he's dealt with a leg injury already this season and the Cubs like to play precautious. However, at about the same time, news got out that Eloy Jimenez, their top pre-rookie on the other side of the ball, was being held out of the lineup in high-A Myrtle Beach. Combine these occurrences with the time of year and the curiosity of Chicago baseball fans everywhere was piqued. Of course, I don't think anyone saw these scratches affecting both sides of Chicago. This morning, the Cubs and the White Sox came together and shocked the entire city of Chicago (and perhaps all of baseball) by pulling off their first trade in more than ten years and, boy oh boy, was it a doozy. As it turns out, both Cease and Jimenez were in fact pulled for a pending trade (along with a pair of lesser-name minor leaguers) and left-handed starter Jose Quintana is now a Chicago Cub. Holy moly! Within the last year, it's been reported several times that the White Sox did not want to do business with the Cubs, lest they accidentally boost their crosstown rivals that already hog the spotlight. However, in this case, I think it's Northsiders who should be worried about doing just that. First of all, Quintana absolutely fits a need and makes perfect sense as a trade target. With a rotation in shambles, giving starts to guys like Eddie Butler, Brett Anderson, and Mike Montgomery, Quintana fills a slot as a quality number two starter. Furthermore, he comes to the other side of town on an affordable contract ($8.85MM guarantee for 2018 and successive options, $10.5MM and $11MM, respectively, for the ensuing two years) and under control through 2020. This is no Aroldis Chapman-style rental, which is an obvious plus for a team primed to loose Jake Arrieta and John Lackey to free agency after 2017. Of course, in order to get such quality, you have to give up quality... and a lot of it; top of the line pitching doesn't come without cost. As such, Theo and Crew were forced to part with their top prospects on both sides of the ball. Cease carries a 2.79 ERA with 12.9 K/9 against 4.5 BB/9 at the Class A level and front-line starter potential; however, he does come with injury-risk, with his aforementioned leg issue and his missing the entire 2015 campaign due to Tommy John surgery. Meanwhile the 20-year old Jimenez is a consensus top-10, MLB prospect with light-tower power and .271/.351/.490 batting line with eight home runs over 174 plate appearances at high-A. Like I said, to get quality, you have to give quality. Here's hoping that Jose Quintana helps to solidify the team's starting five and Dylan and Eloy don't make the Cubs look silly in the next few years. Also, funny fact - I just bought that 2016 Bowman single of Cease from a card show on Saturday. Last year, at the same show, I purchased my very first single of another Cubs prospect, Billy McKinney. Just days after that buy, McKinney wound up traded to the Yankees in the Chapman deal. This time, just days after that show, Cease winds up traded to the White Sox. 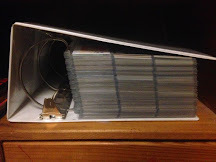 As someone who typically doesn't buy many pre-rookie cards, clearly I'm some sort of prospect jinx. Now - like I said - part of the reason that this blockbuster swap was so shocking is that the Sox and Cubs just don't trade very often. The last time these two Windy City teams got together on a deal was 11 years ago, in 2006, when they exchanged a pair of relievers. 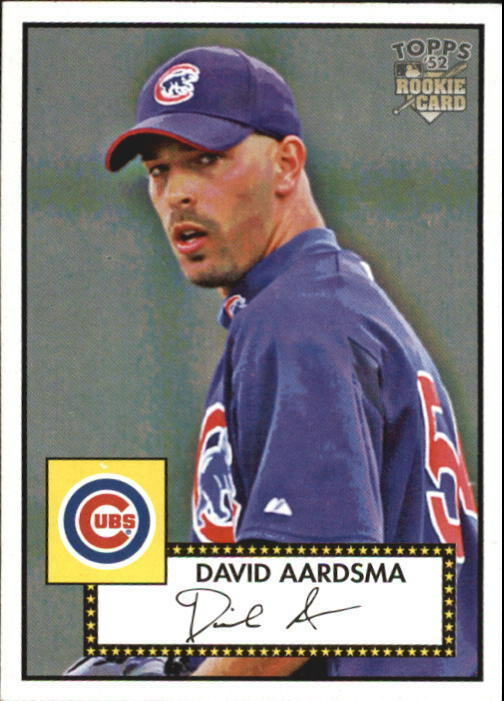 Neither Neal Cotts (to Cubs) nor David Aardsma (to Sox) did much in their new digs nor did their tenure extend for very long, though both went on to have productive careers elsewhere. That was a pretty minor deal - in order to find the last trade these two teams made at the same magnitude as this Quintana shocker, we have to time travel all the way back to 1992, when George Bell and Sammy Sosa swapped hands. Before that, 1973, when beloved franchise icon Ron Santo switched sides with Steve Stone and a few friends. Like I said, the Cubs and the Sox prefer not to meddle in each other's business. Man - that just doesn't look right. We'll have to wait and see a few years to find out who wins this trade overall; however, the transaction certainly improves the Cubs roster, in the near term. The rebuilding White Sox got a pair of significant new jewels for their ever growing treasure trove of prospects, but who knows how Eloy and Dylan will eventually turn out. 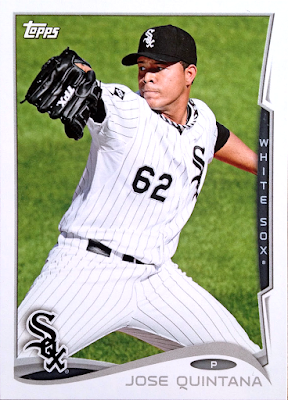 Meanwhile, there's no doubt in my mind that fifteen-ish starts out of Jose Quintana will greatly improve the starting staff (he has 45 K's and a stellar 2.70 ERA over his last 40 frames) and he'll still be around for another two and a half years. The fact of the matter is that the Cubs are in the middle of their window of contention and need to do everything they can to fortify their near-term assets. With all of that in my mind, I definitely THINK I am in favor of this trade. However, I must admit, that I'm still in a state of shock and awe that this even happened. Maybe I'll change my mind when the dust settles a little bit, but I don't think so. 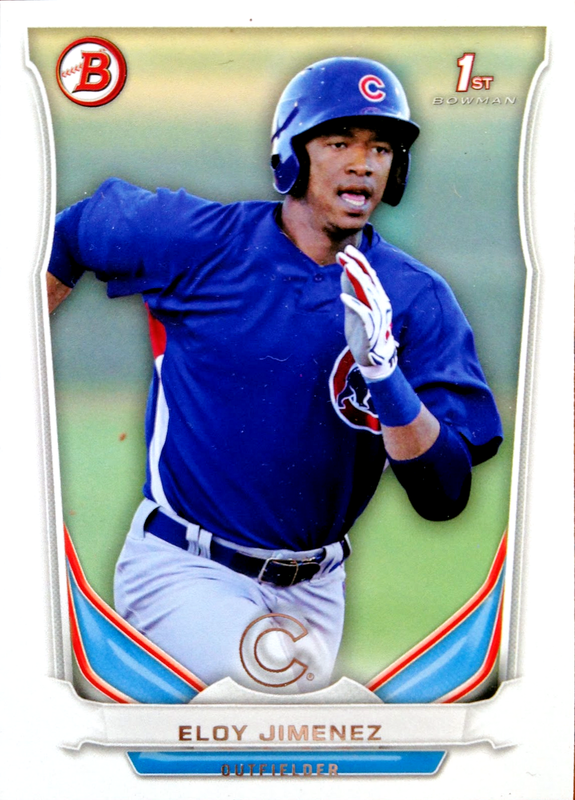 At any rate, welcome to the North Side and to my Cubs All-Time Roster Collection binder, Jose. Here's to a few more years of steady, stable, under-the-radar production from the starting rotation! Also, best of luck on the South Side, Eloy and Dylan - don't make us look TOO foolish, though, okay? What a day to be a Chicago baseball fan! Good trade by the Cubs. They needed some immediate help and it helps that Quintana has a good bit of team control left. 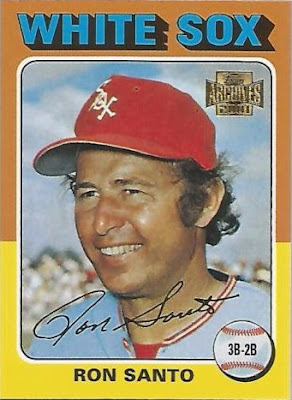 Those were some big name prospects, but it would be a while before they could help the roster so it made sense. Interesting deal. Quintana is solid and signed for a few years, so I get the deal. It's hard to give up top guys like that and not get a traditional ace, but the trade should definitely help the Cubs. 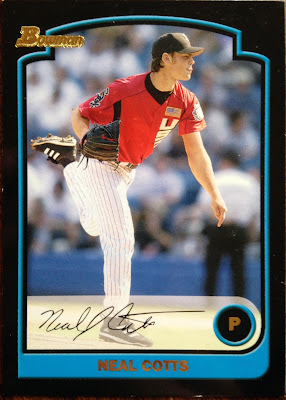 Dylan Cease was a guy I was seriously thinking about becoming a super collector of now that Vogelbach is in Seattle. This one stings for me, but Quintana may be the extra arm we need to help jump start this team to playing better ball. By the way, really nice write up. I like it. Nice all around. Nice pickup by the Cubs. 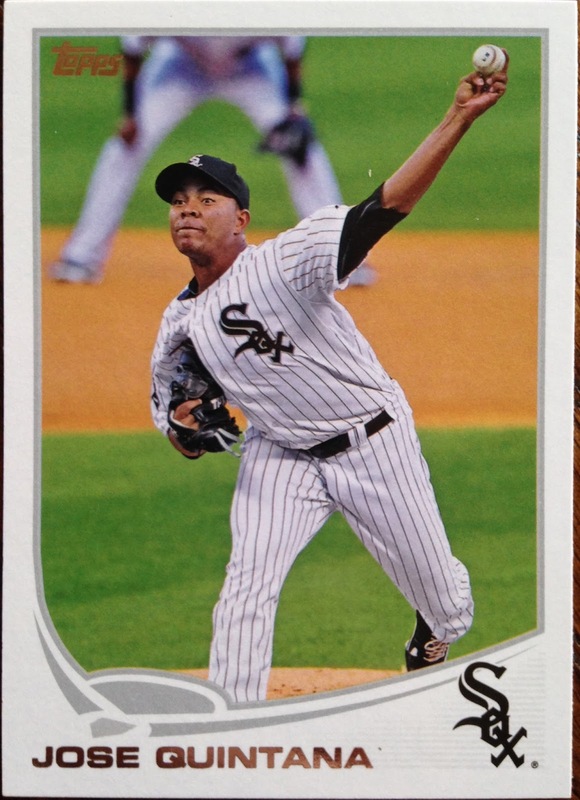 I like Quintana, and I'm glad he won't be going to the Yankees now!